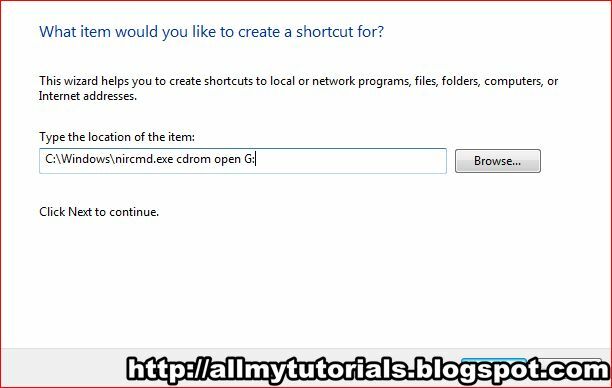 Today i will show you how to add CD drive Shortcut to the window 7 taskbar.So what does this shortcut do by simple clicking to that shortcut you can easily open CD ROM Drive so let see how to do that. 1.) First download nircmd.zip then using winrar or winzip extract it.You will see three files(See image below). 2. )Now double click on nircmd a window will pop up then click on copy to window directory(See image below). 3. )Another confirmation window will pop up click on yes and then click ok(See image below). 4. 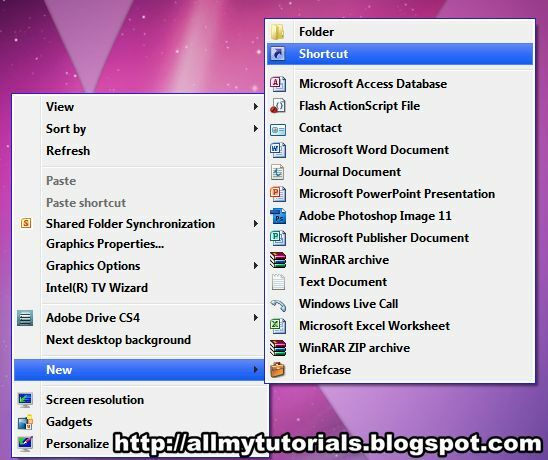 )Now Right click on the desktop and select New->Shortcut(See image below). 5.) 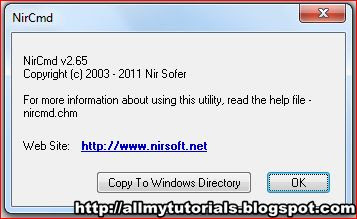 Type C:\Windows\nircmd.exe cdrom open G: in the location box and click next. (See image below). Note: G: is my CD drive name .You have to use your CD drive name. 6. 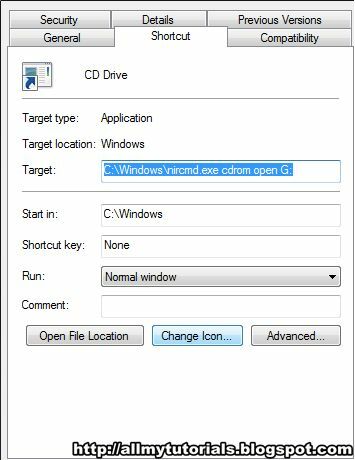 )Give name to your shortcut i used CD Drive (See image below). 7. 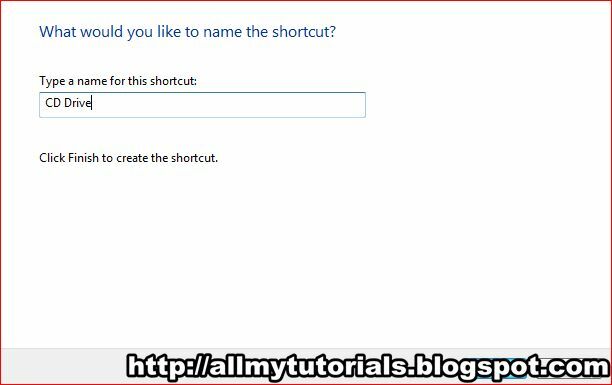 )Now your shortcut is successfully created.You can check it by double click it.But it have default icon so to change icon by right click on your shortcut and click properties(See image below). 8. 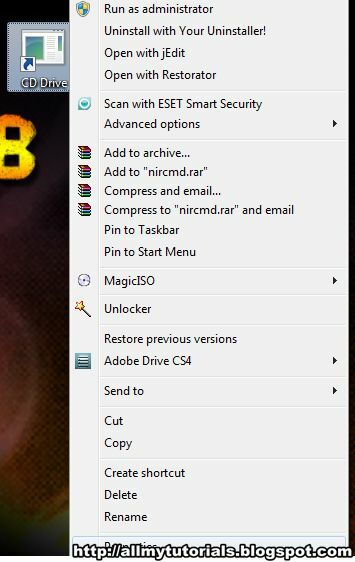 )Now click on shortcut tab and under it click on change icon(See image below). 9. 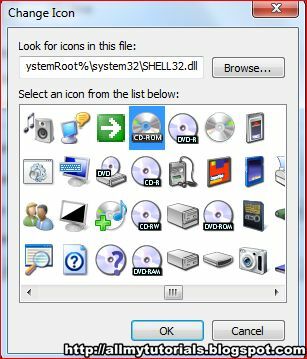 )Now in the location window write %SystemRoot%\system32\SHELL32.dll than choose the icon(See image below). 10. 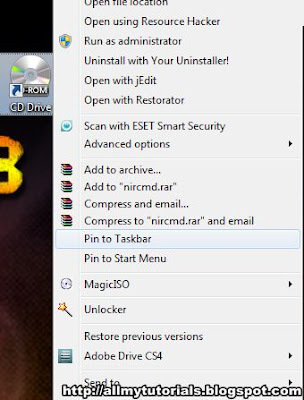 )Now in the final step right click on CD ROM Drive icon and then click on pin to taskbar(See image below). That’s it now you have Recycle Bin icon on your taskbar , i hope you like my this post if you have any query please leave comments in below comment section and don’t forget to subscribe and like my blog .